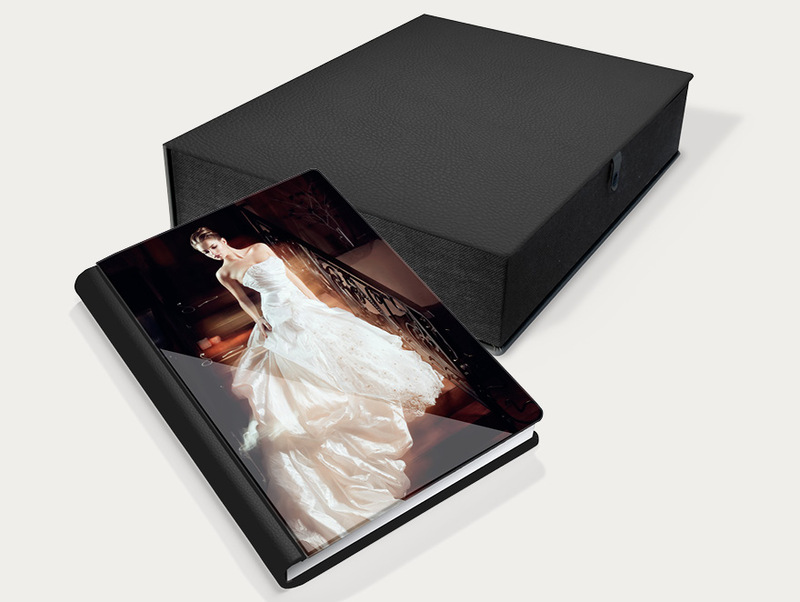 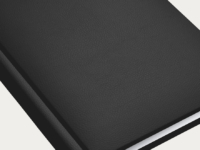 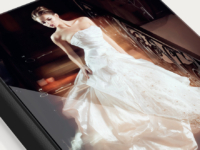 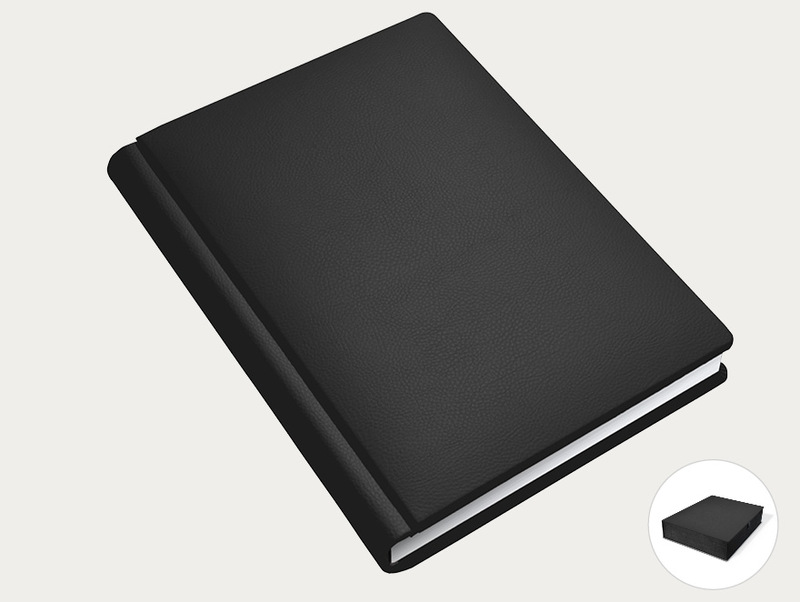 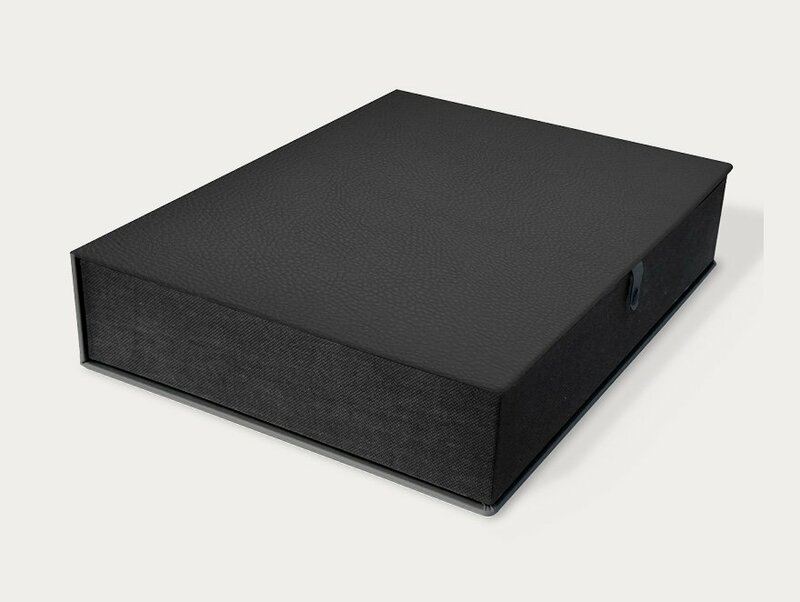 Black covers for wedding album in premium black veined leather. 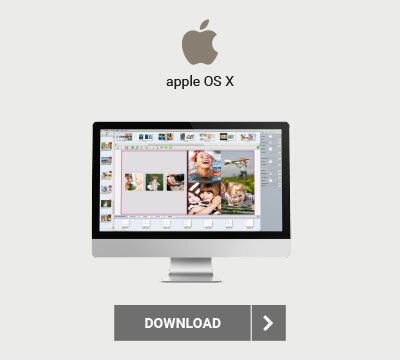 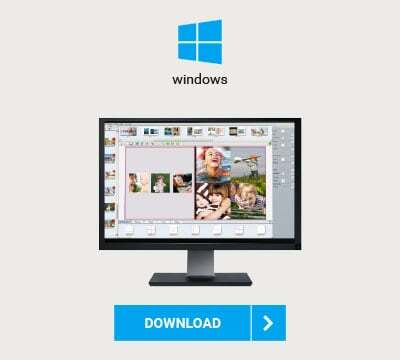 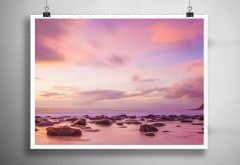 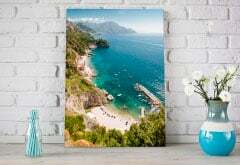 Available in this version with 13×13 photo frame. If you wish, at the time of purchase you can buy a matching case for your album. Cover for wedding album in premium black veined leather. 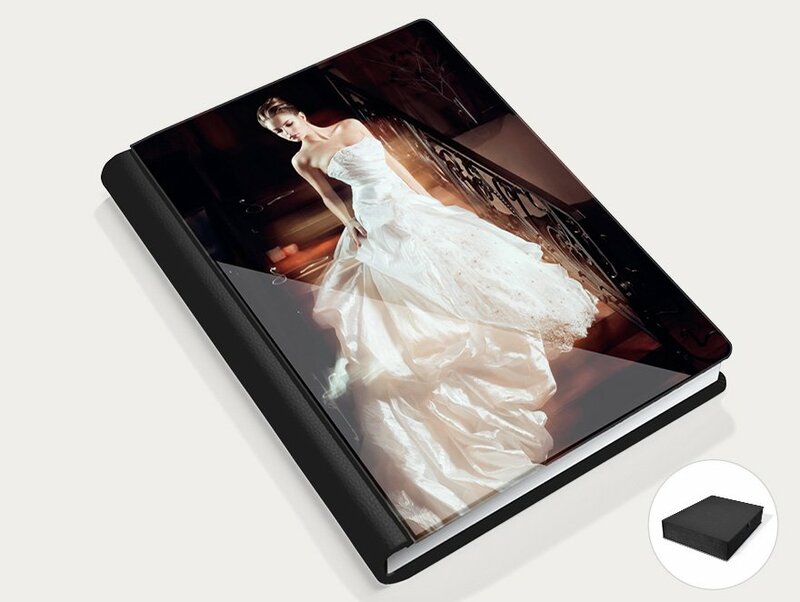 Soberly elegant, it does not have a photo frame on its cover. 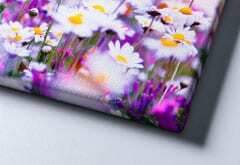 If you wish, at the time of purchase you can buy a matching case for your album. 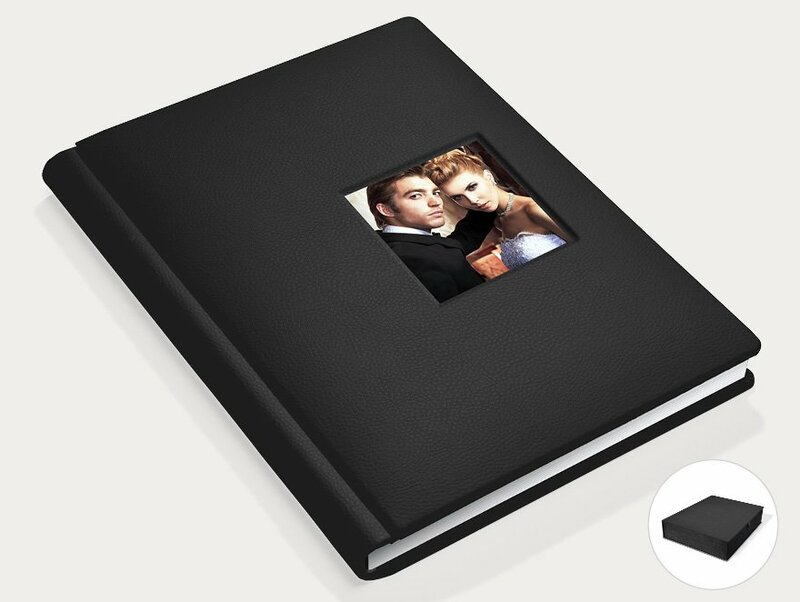 Cover for wedding album in premium black veined leather. 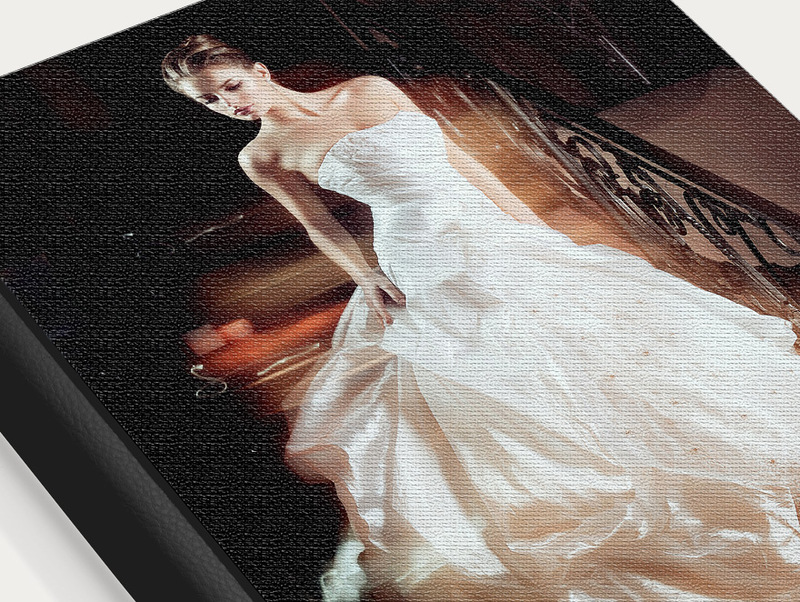 The front panel is printed on fine fabric with an image provided by the customer. 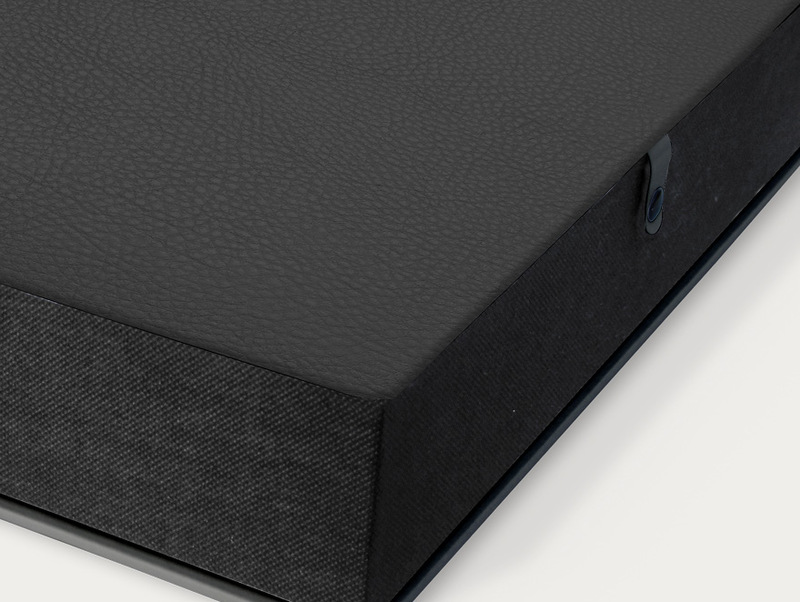 If you wish, at the time of purchase you can buy a matching case for your album. 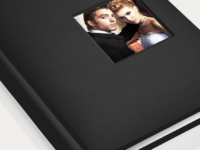 Cover for wedding album in premium black veined leather. 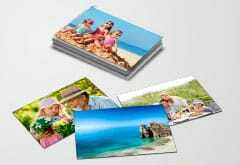 The front panel is printed on glossy coated paper with an image provided by the client. 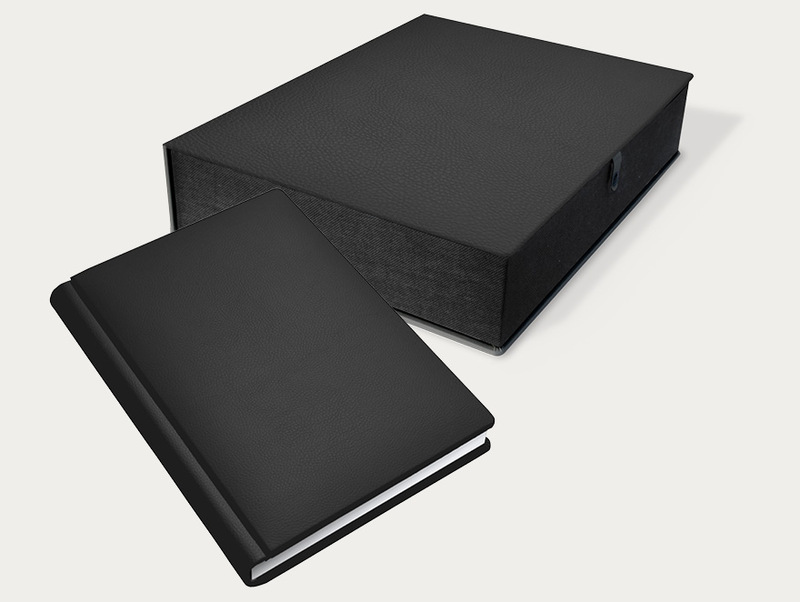 If you wish, at the time of purchase you can buy a matching case for your album.